I offer an outstanding service, and high quality hair replacement systems to help people who are suffering with hair loss. I am a specialist with over 20 years experience providing men's hair replacement systems to clients throughout London, Bournemouth and the South. I have helped many people built back their confidence and feel great about themselves again, by replacing their hair. It is a non surgical procedure that is quick and very effective. So what are you waiting for? Call to arrange a free consultation and see what is available to change your life today! I have known Tracy for 17 years and I have followed her from studio to studio around Birmingham and now down to Dorset. Tracy is a true proffessional, very knowledgeable and reliable and is excellent at her job. I regularly undertake a round trip of 480 miles to have Tracy cut and style my hair. 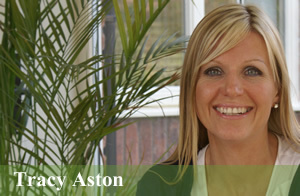 Tracy is one of the most experienced Hair Replacement Stylists in the UK. I always leave her studio feeling great! There is nobody else I would ever use to cut my hair. I highly recommend Tracy!